Here’s a true Berlin original! Right in the center of Nikolaiviertel, the historic heart of the city and just a few steps from Berlin’s oldest structure, Nikolaikirche or Church of St. Nicholas. 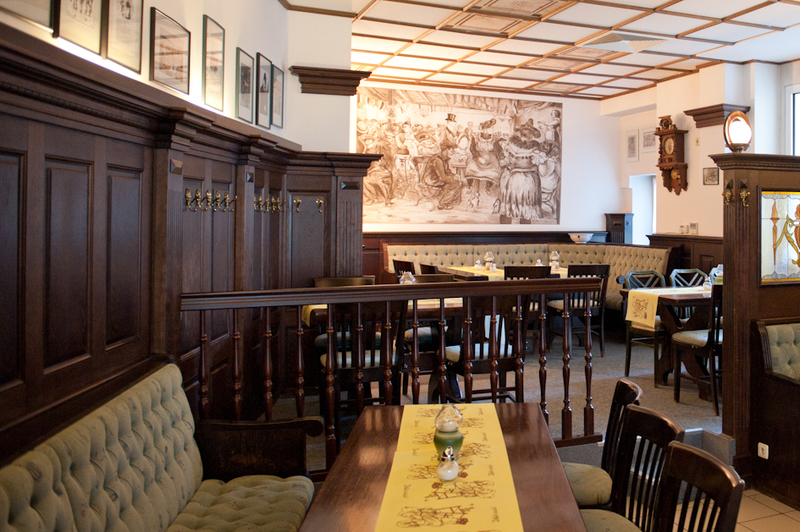 Discover some typical german dishes from the old Berlin in a relaxing historic atmosphere. Here, some original characters from Berlin’s past are still alive: Heinrich Zille, The Captain of Köpenick and many others. 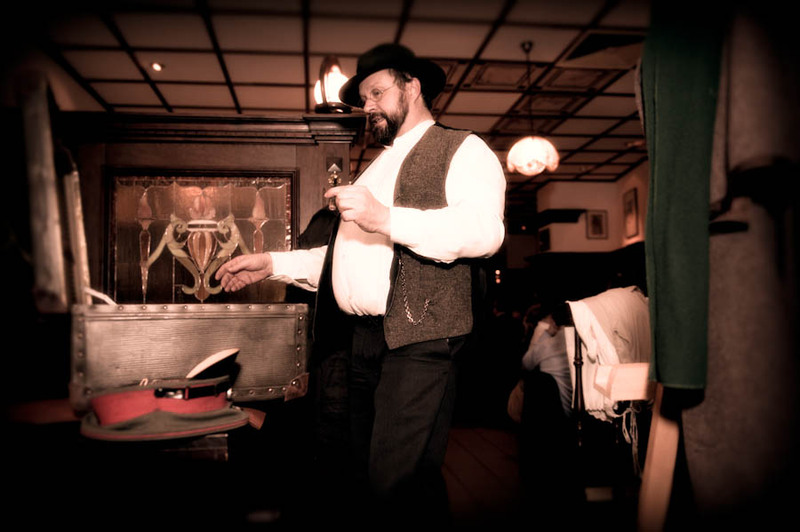 Enjoy great food and entertainment and learn about Berlin’s history – a great idea for your company event or family reunion too! 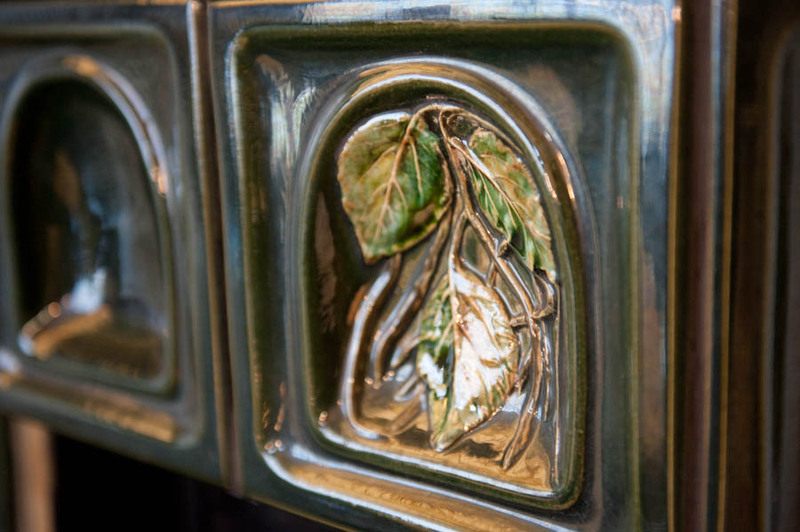 Let us make your evening at Zille-Stube a fabulous experience. What would a night at Zille-Stube be without music and stylish setting? 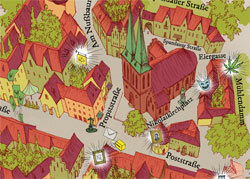 Berlin originals like Heinrich Zille or the Captain of Köpenick take you back in time. With a gramophone and lots of stories. By the way: among our decorations are many drawings by Heinrich Zille. 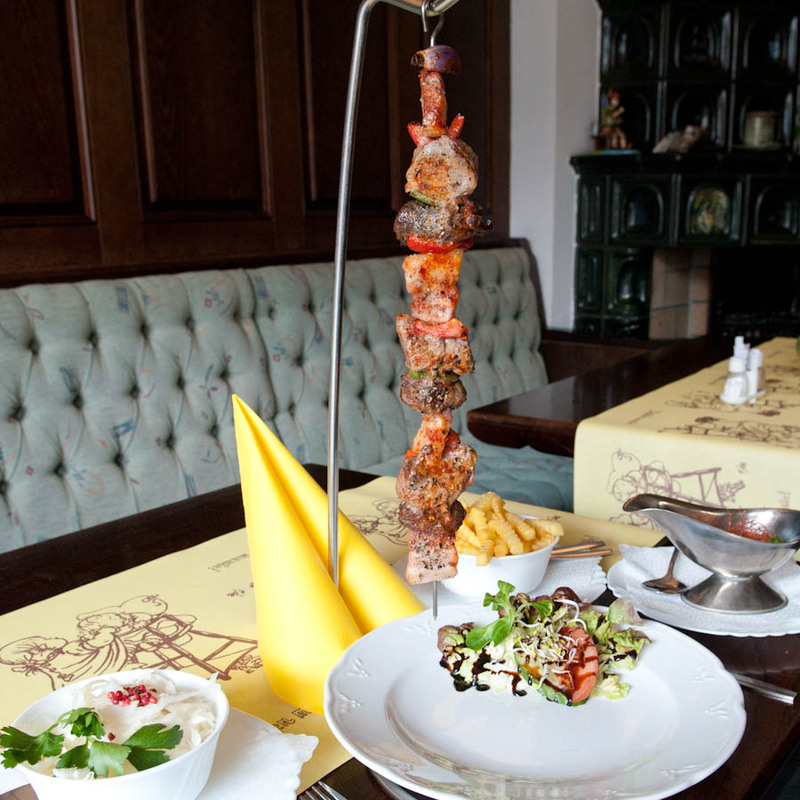 Our menu is filled with specialties from the old as well as the new Berlin. Dishes that our namesake Zille loved and all the modern classics. We cook with a lot of love and passion so just in case you’ve just indulged in a little too much good food – a glas of Kümmel will sure help! So come on in – “Nischt wie rinn!” – as the Berliner would say.